Should Peter become a much más complex levelheaded person? Should Peter bond with Stewie más often over Brian? Do tu want Peter to reinvent himself into a much más intellectual person on the show? Do tu want Peter to redefine social commentary through philosophical and sociological perspectives? Should Peter and Meg have más episodes together over Stewie and Brian? How many episodes of Peter Griffin did tu like? Do tu want Peter to become smarter? Do tu think Peter is complex? Peter Griffin is my favorito! character but I feel like the writers write him out is a little off. He deserves a stronger voice with smarter strategy skills to prove his points of view when it comes to satire. He needs a refreshing image that enlightens his personality into a mysterious complex character. 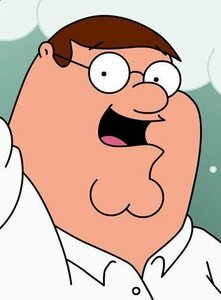 I personally think if Peter Griffin wanted a realistic background then the writers should try adding three-dimensional quality storytelling in Family Guy to redeem Peter's fallen traits. He should develop a brand-new experience in real life. a poll se añadió: Should Peter become a much más complex levelheaded person? a poll se añadió: Should Peter bond with Stewie más often over Brian? a poll se añadió: Do tu want Peter to reinvent himself into a much más intellectual person on the show? a poll se añadió: Do tu want Peter to redefine social commentary through philosophical and sociological perspectives? Do tu want Peter to break his flanderized personality?